2018 was a big year for Instagram. 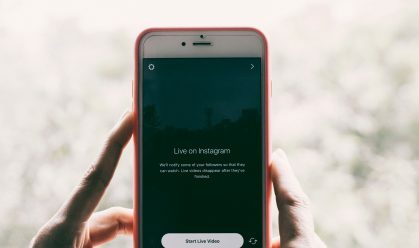 In April, the platform saw changes to its API that resulted in the death of Instagram bots, apps that help brands analyze their followers and limitations on the ability to repost UGC. 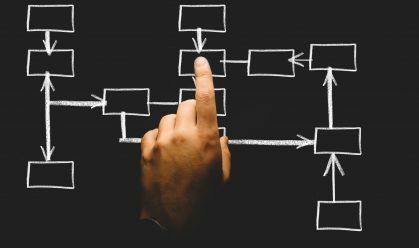 The platform also rolled out a new algorithm, focusing on serving its users content based on three primary factors: interests, timeliness, and relationship. And new features have appeared throughout the year, including a ‘mute’ feature, Instagram TV, new advertising options and the full expansion of shoppable posts. With all of these updates, the platform has become more popular (Instagram grew to 1 billion users in September of 2018) and more competitive for brands (with 25 million business profiles). As we move into a new year, brands will need to continually assess and adjust their Instagram strategies to stand out. This means sharing better content, engaging more with audiences and staying up to date on all of the latest platform changes. 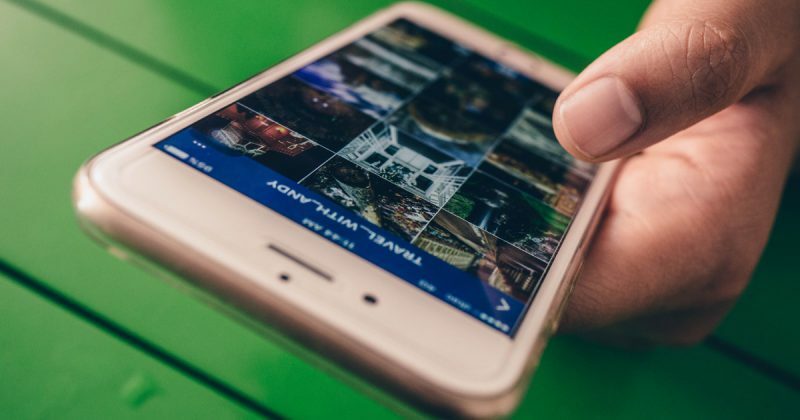 If this visual marketing platform is a key element of your brand’s strategy, read on for some inspiration from the top 10 brands on Instagram right now. Madewell was created for the modern city girl who has a chic, tomboyish style. This specific demographic focus makes it the perfect brand for Instagram, where 31% of women and 59% of 18-29-year-olds spend time each day. right colors and clean, streamlined creative direction. 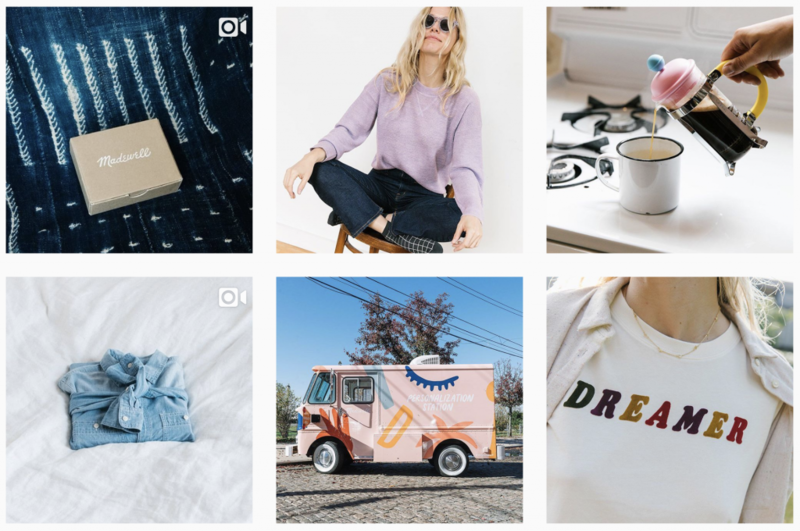 Known primarily as a denim brand, Madewell centers its Instagram content around jeans. As the brand has expanded its product offering, they have continued to show their audience how to build a lifestyle around denim. 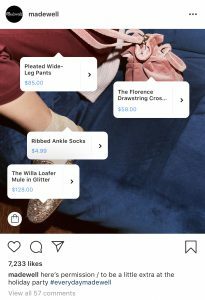 But perhaps most importantly, Madewell’s assortment of images and video create a very clear, shoppable virtual storefront for their product assortment. Posts frequently feature the shopping icon, with multiple products tagged in each image (see example to the right). This attention to visual and highly shoppable content helped the brand to increase sales 39% in 2018. Their presence was also recognized by the 2018 Webby Awards, where they were nominated for overall best brand presence. 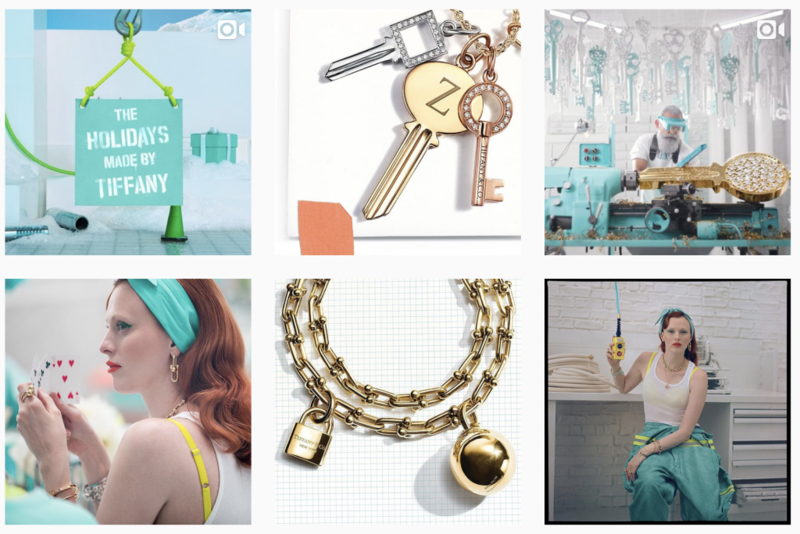 Nominated for 10th annual Shorty Awards, Tiffany & Co. is a great example of how a heritage brand can use Instagram to evolve their appearance to reach a new customer base. The brand created several made-for-social stories about art, fashion and pop culture. In order to create cohesion and maintain Tiffany’s well-known brand identity, they leaned into the use of ‘Tiffany blue’. 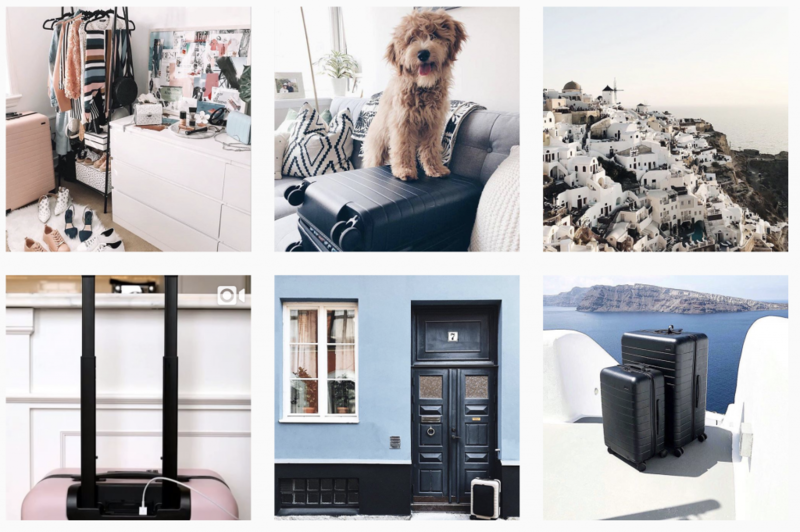 The result is an Instagram grid that instantly identifies as Tiffany but moves the audience deeper into the world of the brand through storytelling and modern visuals. This approach to content has made Tiffany & Co’s posts generate 11 times more interactions than the average watch & jewelry brand. While most luggage brands focus on product features in their marketing, Away has grown out of their desire to shift this conversation. Instead, they use their Instagram to talk about the experiences that a suitcase can enable. 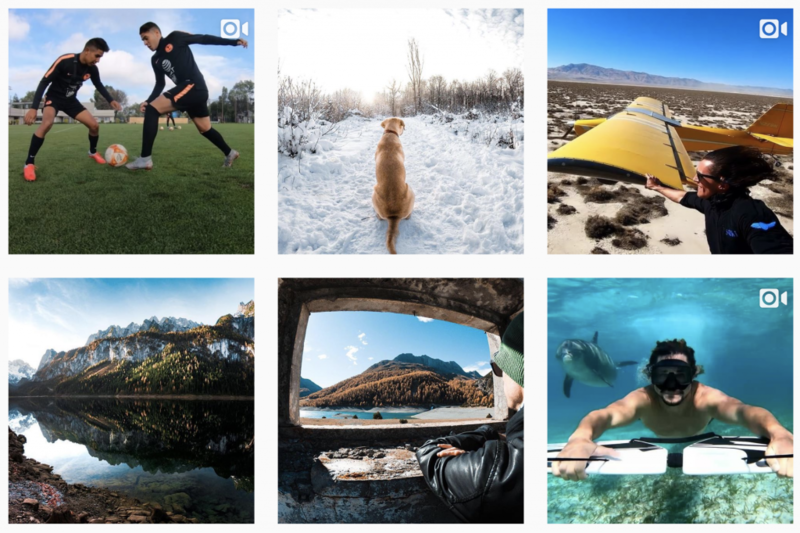 Their Instagram profile serves its audience beautiful images from travel destinations around the world (many of which are user-generated). They aim to inspire people to think about everything they could do with a suitcase, positioning the company as more of a travel brand than a luggage one. In just three years, Away has grown their following to 339K, including a strong celebrity following. Instagram is the brand’s number 2 channel for discovery (second only to referrals). Since their launch in 2010, WeWork has grown to 400 locations across 99 cities in 26 countries. With 400,000+ members around the world, the coworking brand has a global community of users built into their business model. 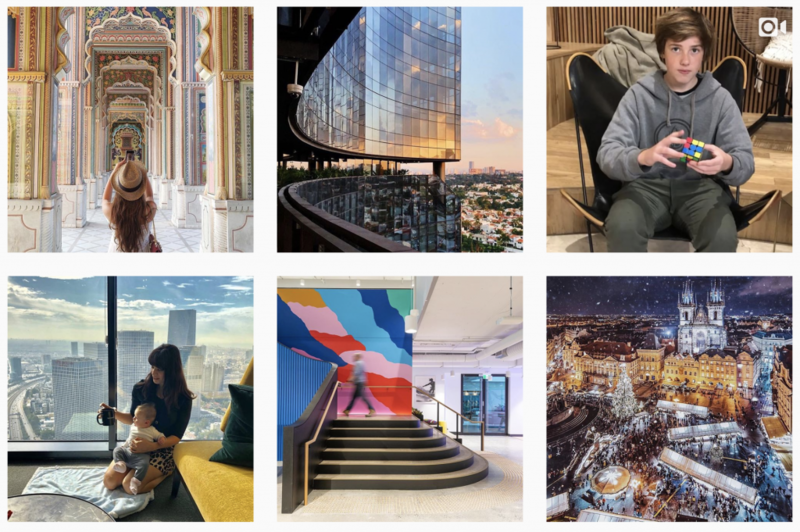 WeWork uses their Instagram to engage that user base online, emphasize the strength of the community, and raise awareness for the creativity that stems from their members. Approximately 90% of WeWork’s Instagram content is user-generated. This tactic allows the brand to not only highlight the experiences of their members but also shows how WeWork plays a role in those experiences. It also drives engagement, posts with UGC have a 4.5% higher conversion rate than non-UGC posts. They also quickly adapt new features on Instagram, working to stay present in their followers feeds and maintaining engagement. As a result, WeWork’s follower count increased 129% and their engagement rate grew from 1.4% to 1.9% in 2017. 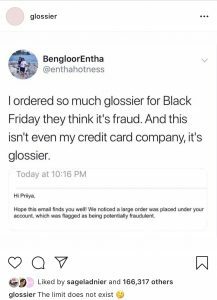 Glossier is a beauty brand that, from its beginning, has distanced itself from the typical polished luxury of other brands in the industry. This is exemplified on Glossier’s Instagram, where posts feel humanistic and down-to-earth. 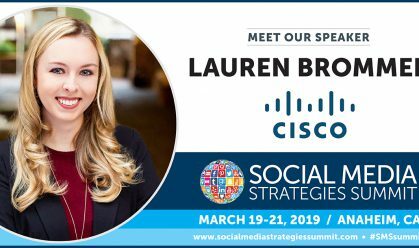 Their approach to content makes it feel more like users are following a friend rather than a brand; with frequent memes, and customer messages. Glossier’s products, with millennial pink packaging, are designed to be shared on Instagram. This strategic decision made it easier to tap into the platform’s community of beauty enthusiasts, turning them into brand ambassadors. 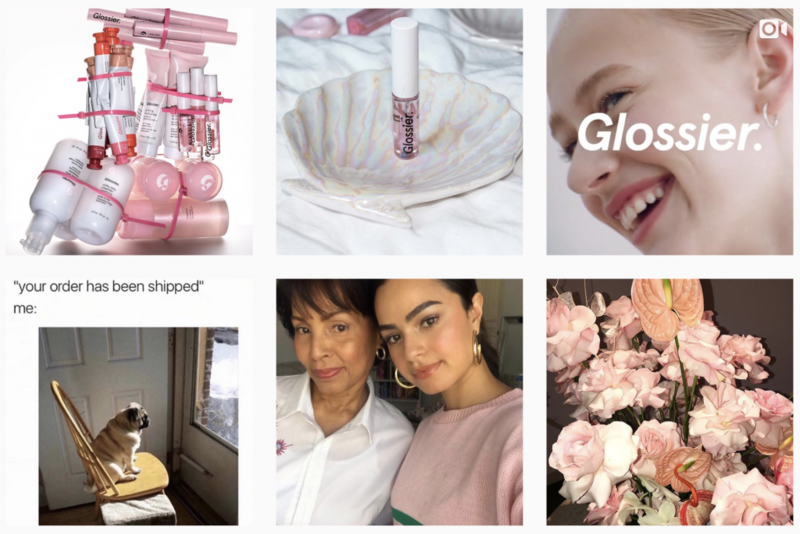 Glossier frequently reposts user-generated content, giving fans more incentive to share and driving overall community engagement. So Worth Loving is a clothing and accessory brand that was created to promote self-love and worthiness. Their Instagram is a platform for reinforcing their mission, spreading positive thoughts and promoting their line of products. To strike the balance between mission and promotion, So Worth Loving frequently posts quote style graphics in between product oriented images. They also embody their mission by investing heavily in community management. Despite their 60,000 followers, they respond to each comment and communicate with their audience regularly. The result is a fan base that feels acknowledged and engaged. Beardbrand is a line of high-quality grooming products with a very niche audience: urban men with beards. 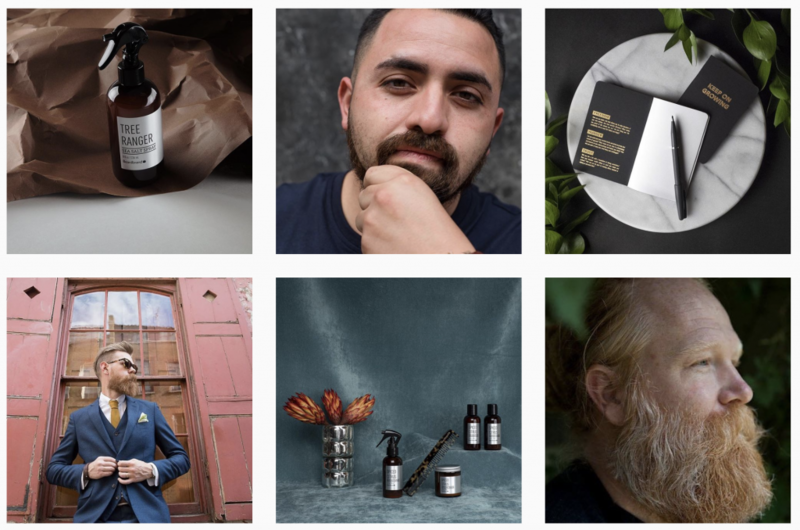 Their mission is to “change the way society views beardsmen,” using Instagram as a vehicle for creating and sharing the sophisticated lifestyle of their target market. Beardbrand’s visual content combines professional model images with styled product shots in a way that not only appeals to their audience but also elevates the idea of men’s grooming in general. 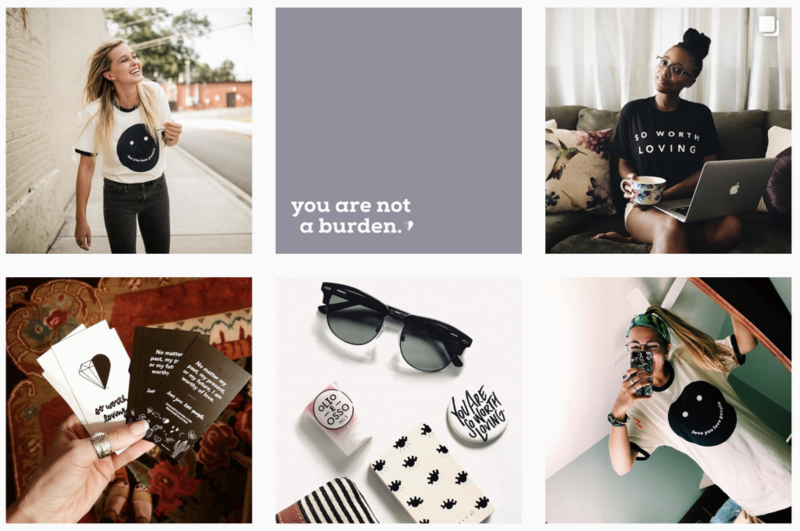 They use Instagram to build brand awareness and discovery, and then work to convert followers into email subscribers. Beardbrand frequently promotes the exclusive content available via their newsletter, which is a key tactic for driving brand sales. (Their email list boasts a 46.6% open and 13% click through rate). 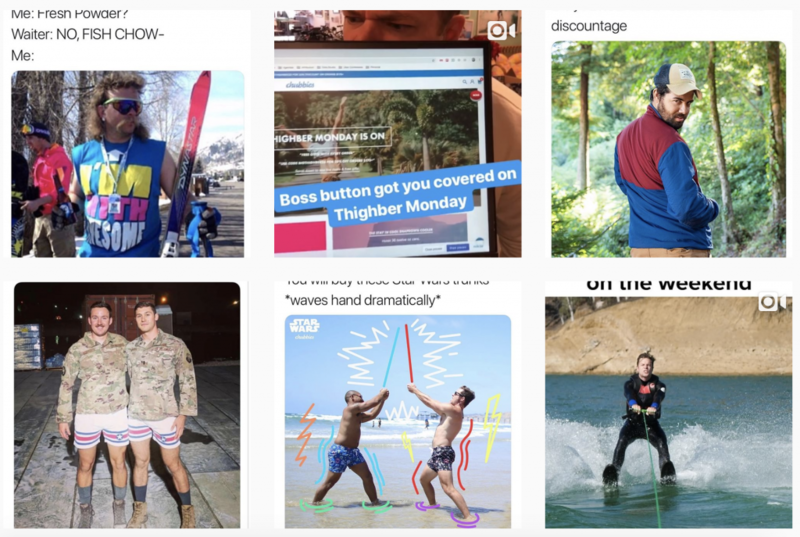 Another brand that’s excellent at engaging men on Instagram is Chubbies. While Beardbrand inspires a more aspirational approach to lifestyle content, Chubbies embraces diversity and authenticity in their content creation. They launched in 2012 as a response to the lack of swimwear options that the founders could identify with. Since then, the brand has grown around the idea of treating their customers like friends. They use humor on their Instagram account to engage their target audience of 18-40-year-old males and use real customers as models in marketing campaigns. This relatable approach to content has helped Chubbies grow to 3.5 million subscribers without any use of traditional media to spread the brand’s message. GoPro uses their Instagram to tell stories from the product’s unique point of view. Full of pictures and videos that were taken using GoPro’s cameras by actual customers, the feed is a source of inspiration and aspirational content. 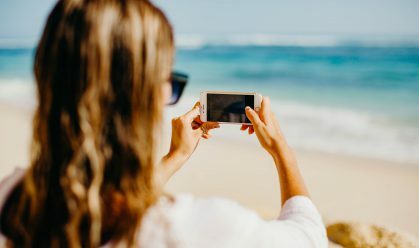 The brand’s goal with its Instagram is to use that content to drive consideration for how you could use their unique camera in your life, ultimately leading to purchase. GoPro has expanded the amount of content they share by opening regional handles featuring localized content and customers in over 10 markets. This decision resulted in growing their total follower base to nearly 15 million. The food and drink category is a very crowded space on Instagram (#foodporn). 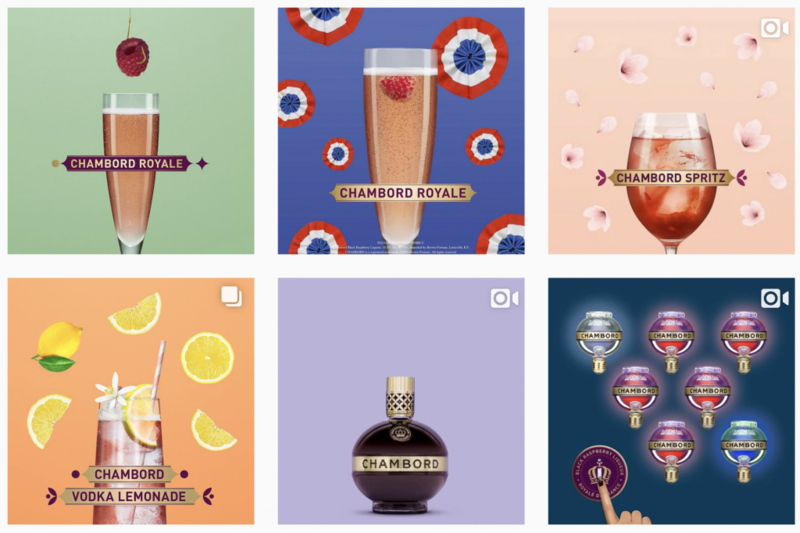 As a niche liquor brand without a media budget, Chambord relies on organic tactics and fresh creative to break through the clutter. The brand used data and insights to focus their content where their audience was most engaged: drink recipes, images of cocktails and the Chambord bottle. While their content is primarily aimed at educating the audience on how to use their product, their colorful, highly stylized grid does so in a way that feels fun and whimsical. Upon implementing their creative strategy, positive brand sentiment grew 53%, with a 25% increase in followers. In 2018, 70.7% of U.S. companies used Instagram for marketing, and this trend is likely to continue into 2019. How will your brand’s Instagram stand out from the (increasingly crowded) pack in the new year? We hope these ten brands have provided some inspiration for you to identify new ways to increase creativity, build community and get your content seen on this critical platform. 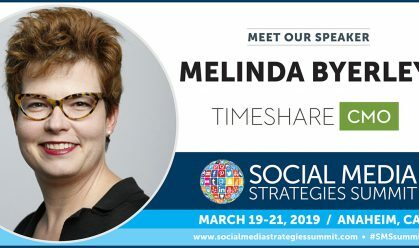 Attend a Social Media Strategies Summit for more case studies and education on how to best improve your social strategy in the new year!